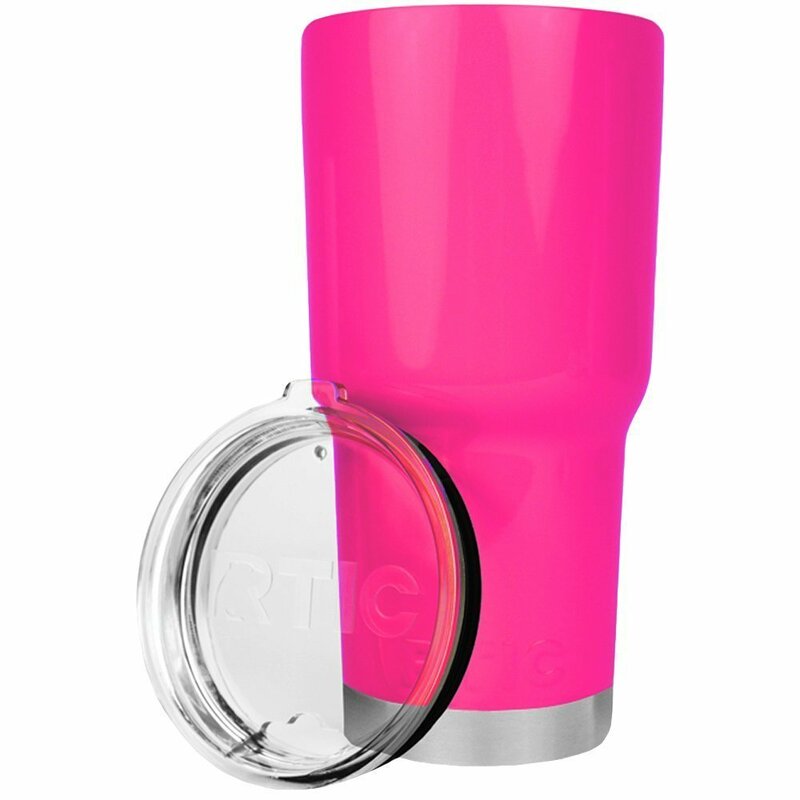 RTIC vs Yeti Tumbler Cups: What Really Happened? RTIC vs Yeti Tumbler: What Really Happened? This Yeti vs RTIC Tumbler post was interesting to write, as Yeti has a history of coming after “copycat” brands. It was fascinating to watch the lawsuit of Yeti vs RTIC Tumbler unfold, bringing RTIC into the spotlight. So, how identical are RTIC tumblers to Yeti’s tumblers? And what exactly went down in the lawsuit? 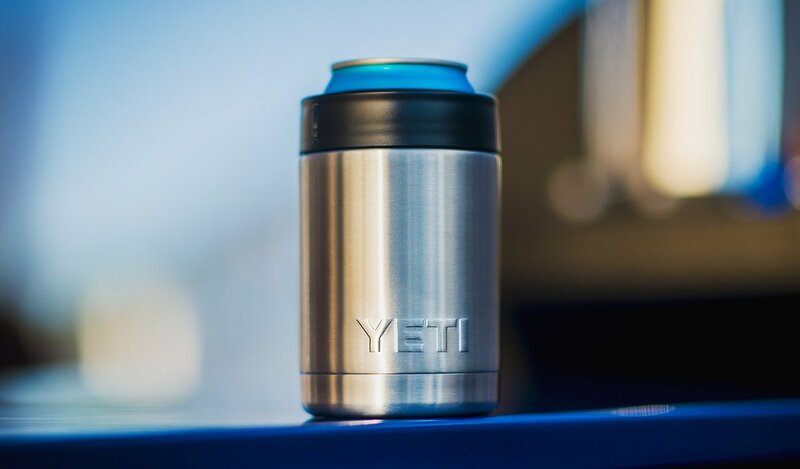 Click for more pictures of this Yeti-like tumbler. Basically, RTIC Tumblers are exact replicas of Yeti Tumbler Cups. 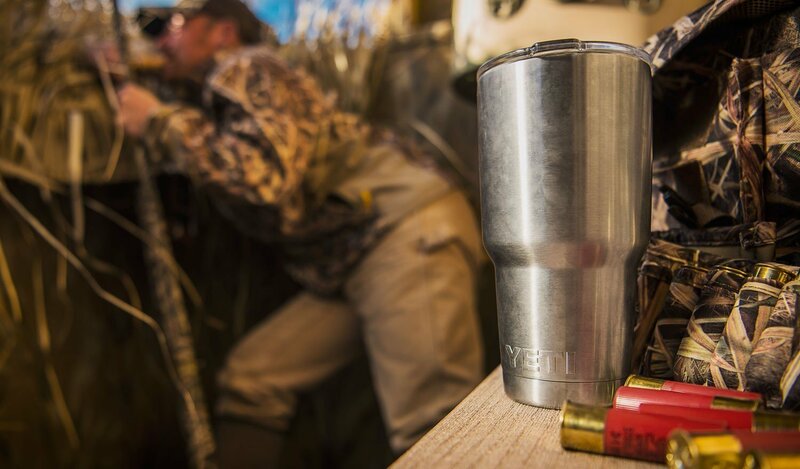 Take a peak at our Yeti vs Ozark Trail Tumbler comparison. Notably, Ozark Trail Tumblers share these exact same characteristics. As mentioned in “The 7 Best Stainless Steel Tumblers,” all of the best stainless steel tumblers share these qualities. Both brands of tumblers are available in Classic Stainless Steel and sleek Black. Ozark Trail vs RTIC vs Yeti Tumbler: Where are they manufactured? 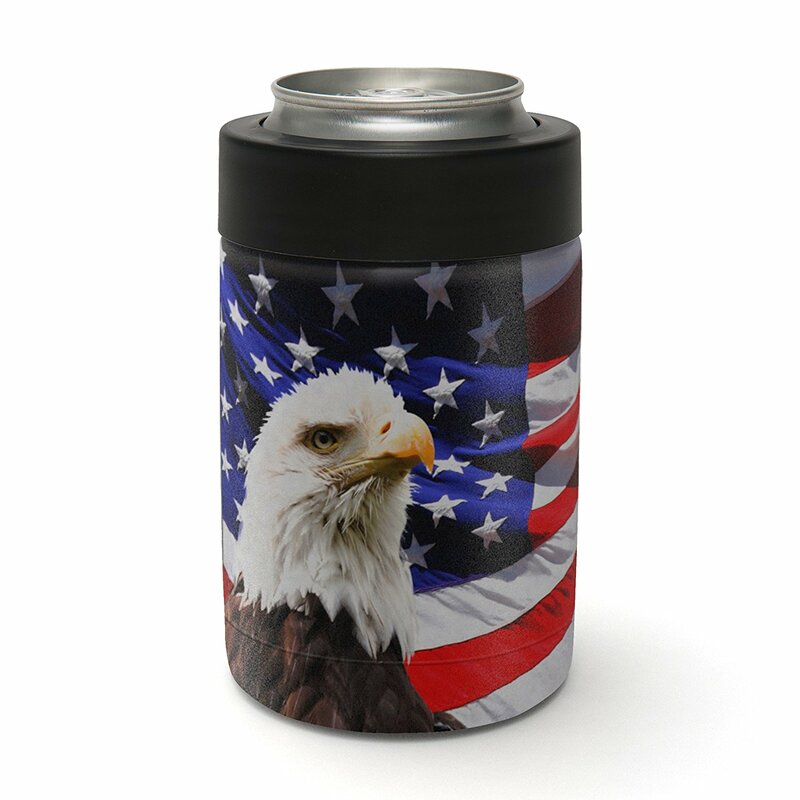 Sadly, you’re barking up the wrong tree if you want a stainless steel tumbler made in the USA. Both of these tumblers come from China, so there’s nothing American about these steel cups’ origin. Ozark Trail tumblers are also manufactured in China. Best Tumbler for the Price? Second on the video agenda is this amazing review of the RTIC Tumbler. 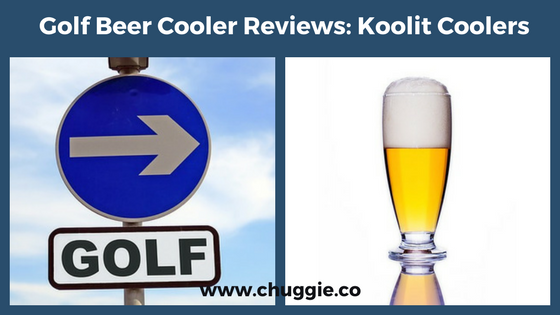 If you only pay attention to one thing in the “RTIC vs Yeti Tumbler Cups Review,” pay attention to this! Of course the biggest differences are the logos stamped on the lids and the prices. However, there are also a few differences in construction, accessories, warranty, and color options. RTIC’s opening is large enough for a stainless steel straw. Dimensions vary, but not by much. Yeti Tumbler Cups and Lids are dishwasher safe, according to Yeti. Although these tumblers and can cooler cups are nearly identical, Yeti Tumblers and Colsters are stronger than RTIC Can Cooler Cups. Remember, both brands offer the Stainless Steel and Black color options. However, they each offer their own unique colors. Major win with the Camo, RTIC. Note: Yeti’s “Seafoam” and RTIC’s “Teal” are basically the same color. How do their accessories stack up against each other? The Magslider takes “lid” to a whole new level. Keep in mind that there are dozens of generic accessories. Not only are they cheaper, but they’re available in a wide variety. Interested in saving big on generic accessories? 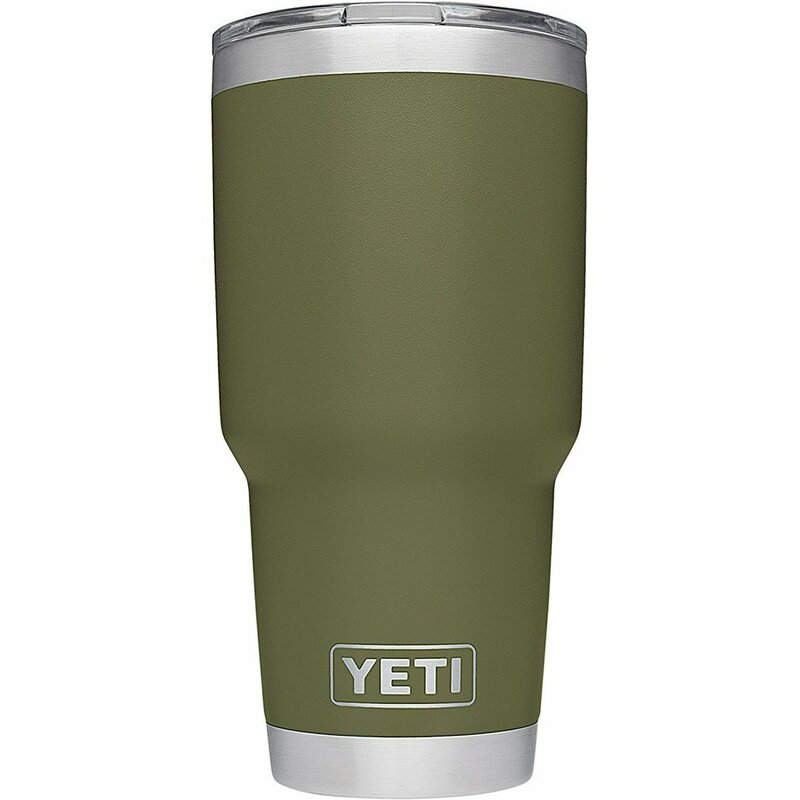 If so, stick around for the 3 Cheapest RTIC / Yeti / Ozark Trail Tumbler Accessories with the best value. 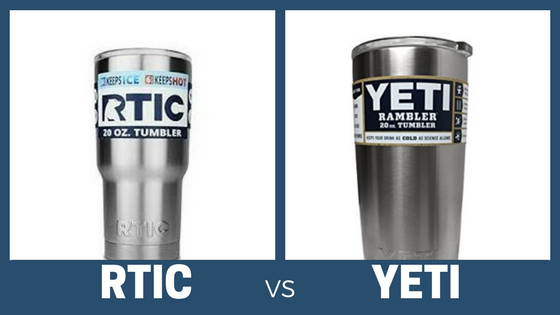 There’s no winner in the RTIC vs Yeti Tumbler “Heat & Ice Retention” Comparison. Throw Ozark Trail Tumblers into the mix, and you’ll see they’re almost exactly the same as well. All of them do an excellent job, though. To see a thorough comparison of RTIC vs Yeti vs Ozark Trail Tumblers, check out Antler Score’s professional review video below. A plus is that this video shows how Walmart’s Ozark Trail Tumblers compare. This all depends on a variety of factors, such as the environment you’re in. 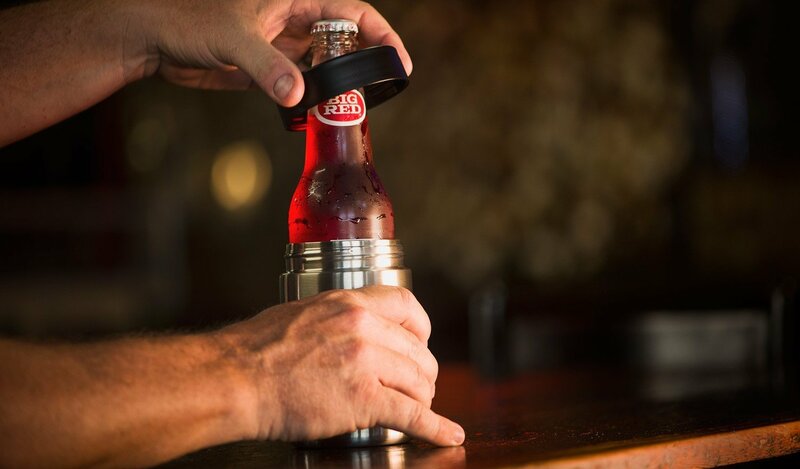 But most importantly, remember to pre-heat or pre-cool your tumblers. If you want to maximize heat/cold retention time, this will work wonders. A Yeti Tumbler 30oz and an RTIC Tumbler 30oz will both keep your ice cold for up to 24 hours. They’ll also keep your hot beverages hot for about 4-7 hours. 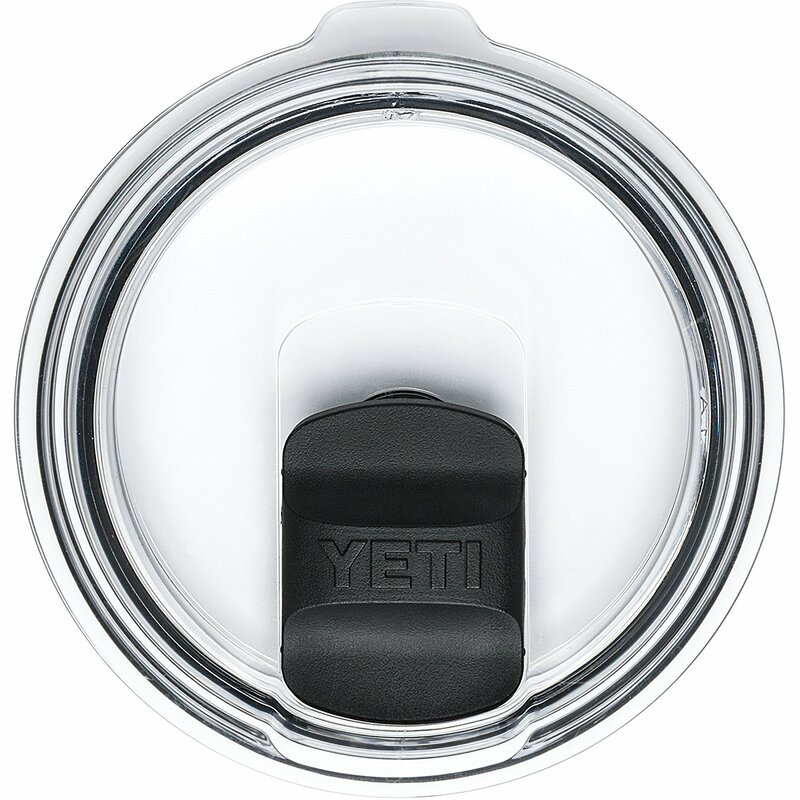 Other popular product in RTIC’s or Yeti’s drinkware are the Can Cooler Cups. We might as well look at Yeti vs Ozark Trail, while we’re at it. The three brands are held together by the “copycat” accusations and lawsuits. A kickass ‘Merica decal wrap for a Colster. These three are nearly identical triplets. Except for the logos and prices, of course. Usually, the store itself has higher prices. However, here’s a handy dandy, up-to-date price checker on the latest Amazon deals. 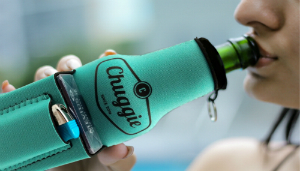 Can Coolers like these are best for times when you’re going to be drinking from a lot of 12 oz cans or bottles, or when you want something denser. Another benefit is the low center of gravity and width; they’re less likely to topple over than tumblers. 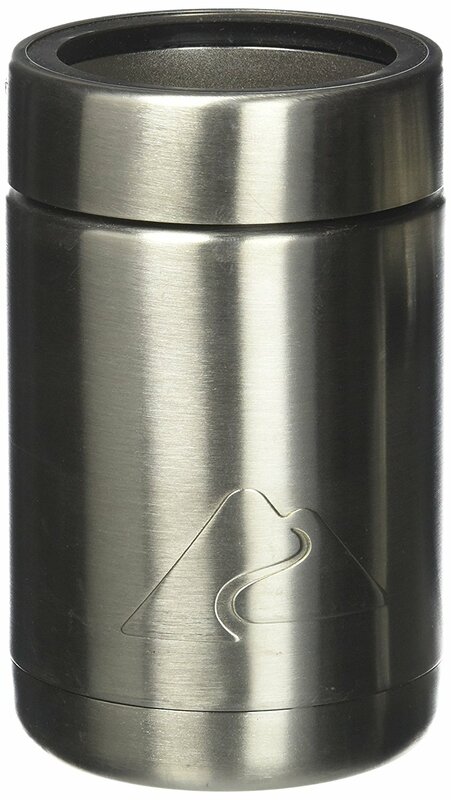 Some people are fine with just a tumbler for both hot and cold drinks, but adding a stainless steel “can hugger” really rounds out the collection. Obviously, the Ozark Trails vs RTIC vs Yeti Tumbler Cups are about the same. But this isn’t out of the ordinary. Once technology has been discovered, it’s normal for other companies to catch on and adapt. Don’t fear, RTIC-lovers. 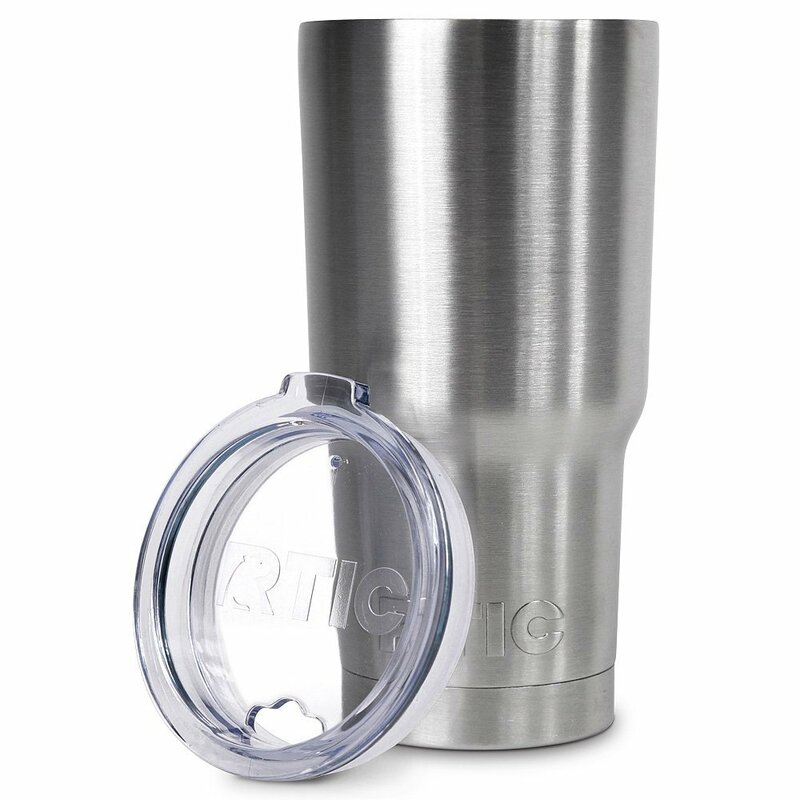 RTIC is climbing back up on the horse and will be coming out with redesigned tumblers and coolers soon. As promised, here are 3 of the best generic accessories. 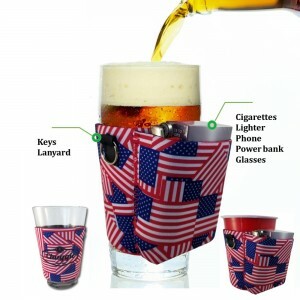 These will work with RTIC, Yeti, Ozark Trail, and many more stainless steel tumblers or can cooler cups. 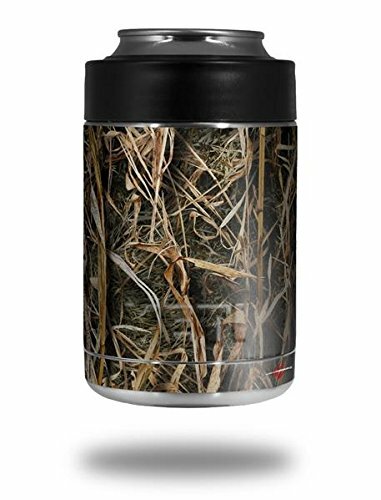 Wrap this around your can cooler cup while hunting, fishing, or camping. Click for more pictures and patterns. 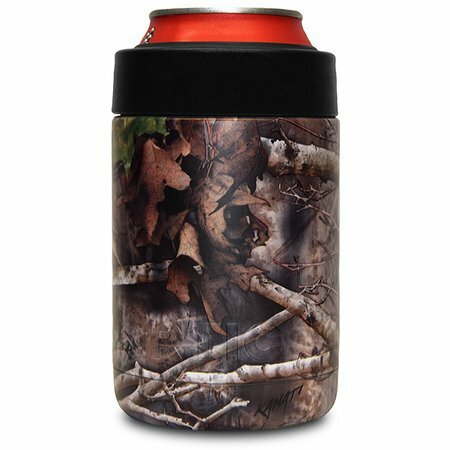 First on this list is this ultra cheap skin decal to personalize your stainless steel can cooler cup – no matter what brand you choose. Easy removal with no sticky residue. 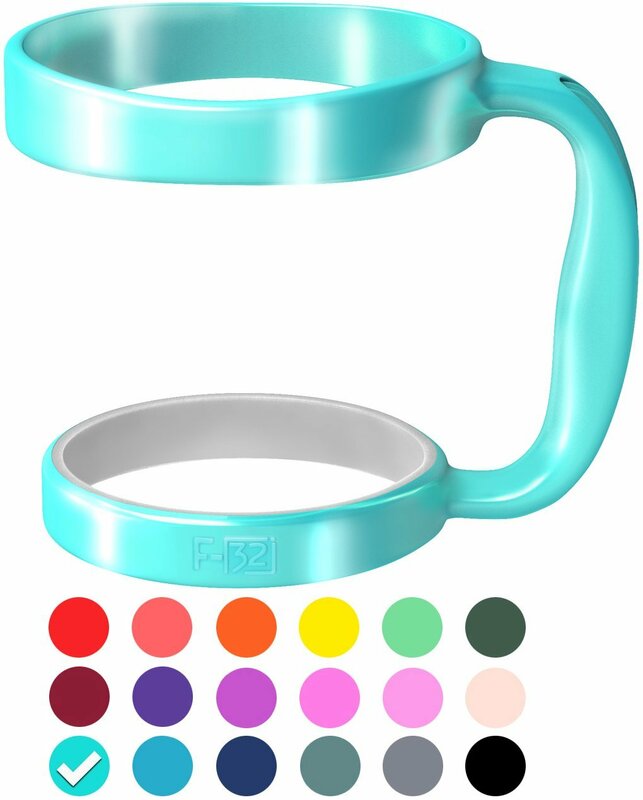 Click for more pictures of this handle in 17+ colors. Now, a bargain RTIC vs Yeti Tumbler accessory is great because it’s cheap. But this handle is socially and environmentally aware. Cha-ching! Take my money. #.1 Comes with F-32 Lifetime Warranty. Satisfaction Guaranteed. #2. Fits most 30 oz. 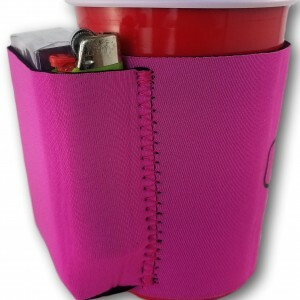 tumblers/travel mug on the market. #6. Highly durable Polypropylene Plastic adhering to ASTM standards (American Society for Testing and Materials). 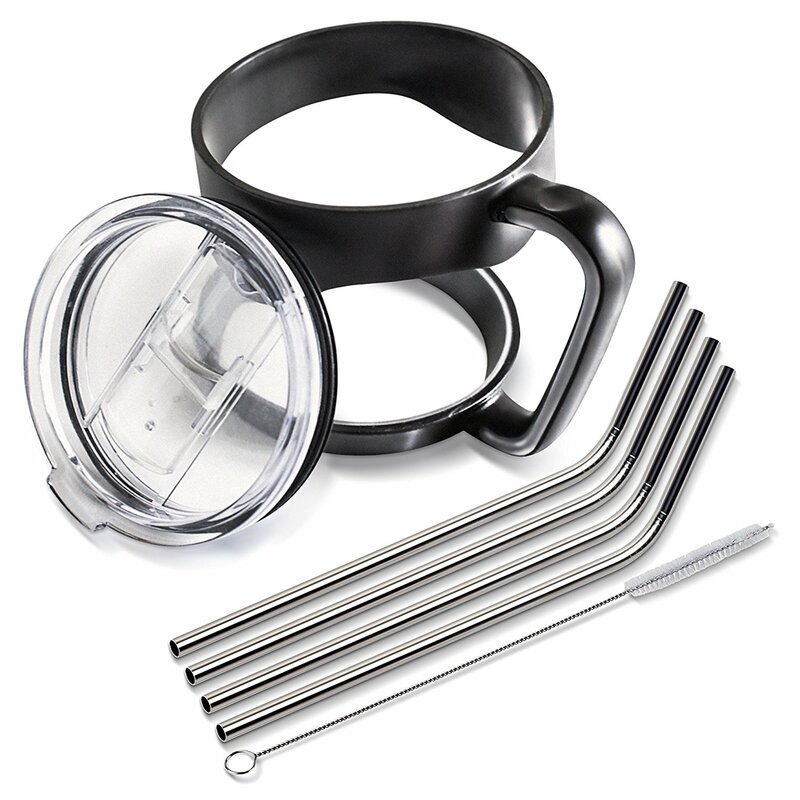 Click for more pictures of this practical and dirt cheap stainless steel tumbler cup accessory set. 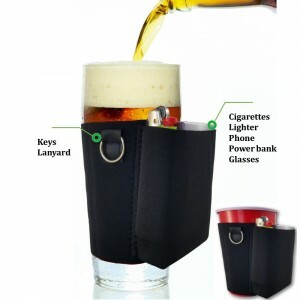 Last of all, there’s this extremely practical accessory set. 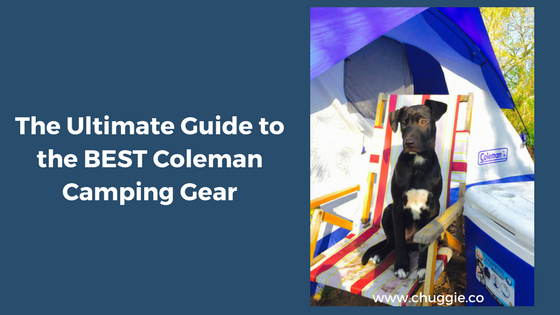 It includes everything you need, making it a great gift. If you’re looking for a quality tumbler or “can hugger,” you can’t go wrong with any of these. And we can’t emphasize this enough: there are plenty of other brands of tumblers with the exact same qualities. 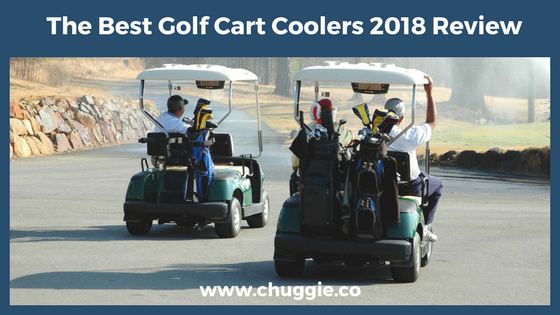 Before setting on an RTIC or Yeti Tumbler or Cup, make sure to check out our detailed reviews about other brands of Tumblers and Can Cooler Cups. After considering all your options, we’re sure you’ll be happy with your purchase. Happy Trails!